Luca Bassani is proud that Wally has developed from a brand into a type  like Frigidaire. 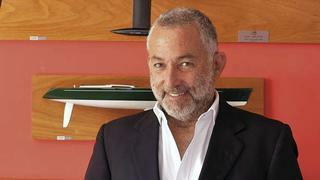 He makes beauty his top priority when creating a boat, and despairs of the number of ugly vessels on the market today. 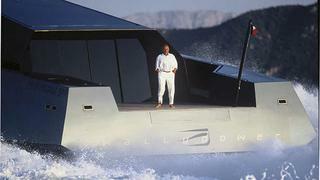 Luca Bassani designed and built the Wallypower because he despaired of the lack of aesthetics in yacht design. Luca Bassani has opened our eyes to design. He is particularly proud of the 118 WallyPower and the flush deck sailing yacht_ Esense_. These yachts are radical designs, but exquisite in attention to detail and execution of design. What Bassani has achieved is a faint stirring, raising the question that perhaps it is time for yacht designers to find their way home and rethink what is good design in the 21st century. If there is a light at the end of the tunnel for him, it is that the younger generation appreciates his design; they get it. He feels they are not intimidated by the choice of radical versus traditional – they admire a Wally for the same reasons that they covet a Ferrari. A sailor for most of his life, Bassani is driven by his love for the sea. ‘When you really love the sea it doesn’t matter whether you do it by sailing or motoring; but how you do it is important,’ he says. Dismayed by the lack of improvement in the boating industry, he designed a boat for himself and his family and went on to develop a business. It was that simple. The WallyPower was a real back-to-basics exercise with its simplicity and hull concept. The idea was to be able to view as much of the outdoors as possible, and flat panes of glass seemed the obvious solution. Regarding the power to weight ratio, light, rigid carbon was the best material. The WallyPower was a fusion of tradition and innovation. Wally has had an impact on the luxury world because it has opened a lot of doors to both interior and exterior design. What designers do at that point is another story.